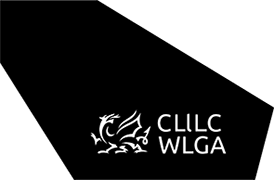 This dataset has been developed by the WLGA led Task and Finish group, in consultation with local authorities, and seeks to provide a clear and simple overview of local government performance. The guidance includes detailed definitions for each measure, including comprehensive guidance for those measures we will collect directly from local authorities. We have also included information about how each of the Public Accountability Measures may help local authorities demonstrate how they are contributing to the seven well-being goals. The PAMs are also available via My Local Council, which allows members of the public, Councillors, officers and partners to view and compare council performance over time and with other councils. Whilst the PAMs are used specifically for public accountability purposes, these and other data is used by benchmarking clubs, which cover services from planning to children’s services, run by service managers to help manage and drive improvements in their services. The benchmarking clubs are coordinated through the Data Unit’s online Benchmarking Hub.